You’ve followed Roofing Webmasters search engine optimization strategy, and now your business is growing at a higher rate than ever before. What is next? The answer is; maximizing your service area. Call (800) 353-5758 for roofer search engine optimization. Online Directories: Google My Business, Yelp, Angie’s List, etc. Make sure your logo is the same on each website, and if you’ve recently updated the design, make sure you go back and replace the logo on each social media profile, and online directory. Consistency is a critical element of brand recognition. You don’t want customers confused, but rather to definitively associate your brand with one logo. Content is king. But keywords exist within that content, to help attract potential customers to your roofing company website. Keyword stuffing is against Google’s standards, and keyword placement should only be utilized within the context of Google Webmaster Guidelines. 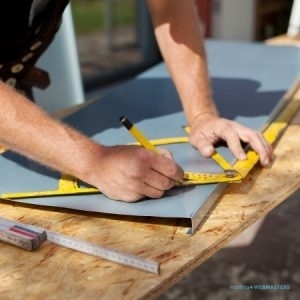 So yes, growing your local roofing company is an outstanding accomplishment, but before you look to parlay your hard work into even harder work, try to maximize your local service area as completely as possible. If you believe that you have maxed out your value in the local community, service expansion becomes a legitimate marketing option. Call (800) 353-5758 to discuss roofer SEO management.